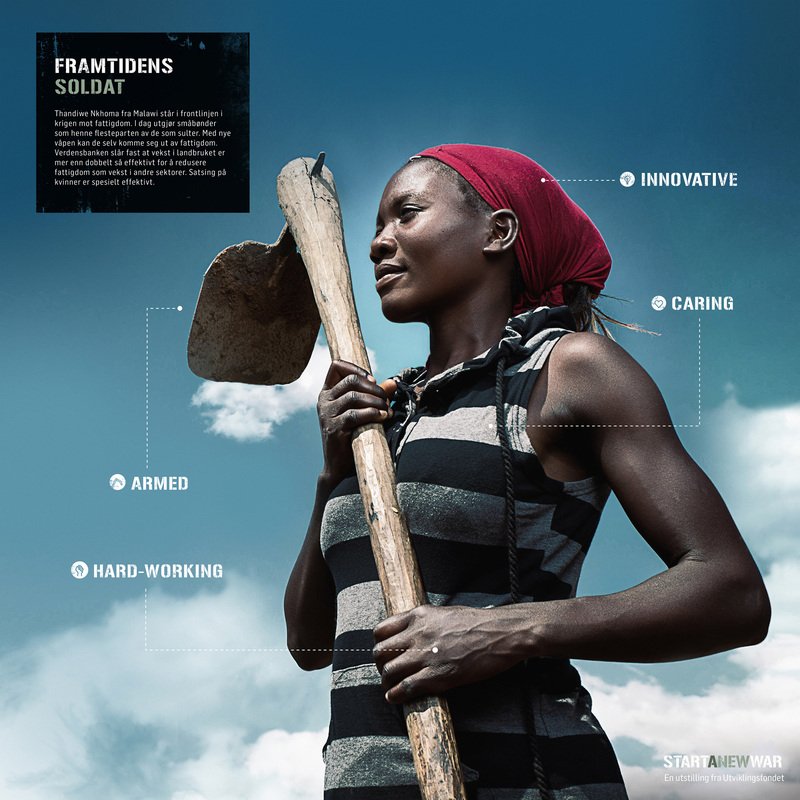 Sustainable farming is a key factor in the war against poverty. 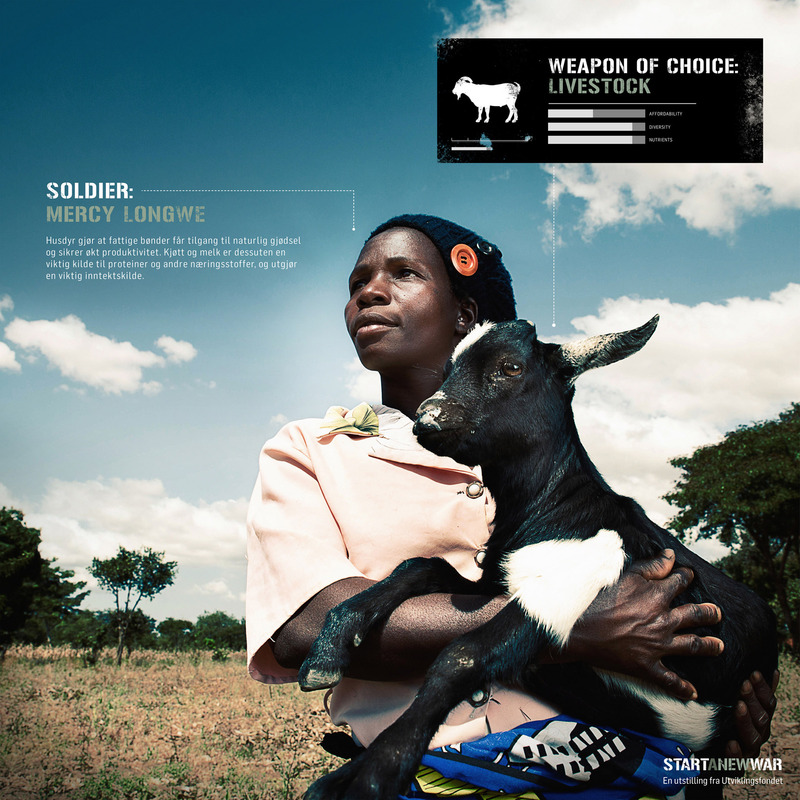 In collaboration with The Development Fund, we developed the campaign Start A New War. 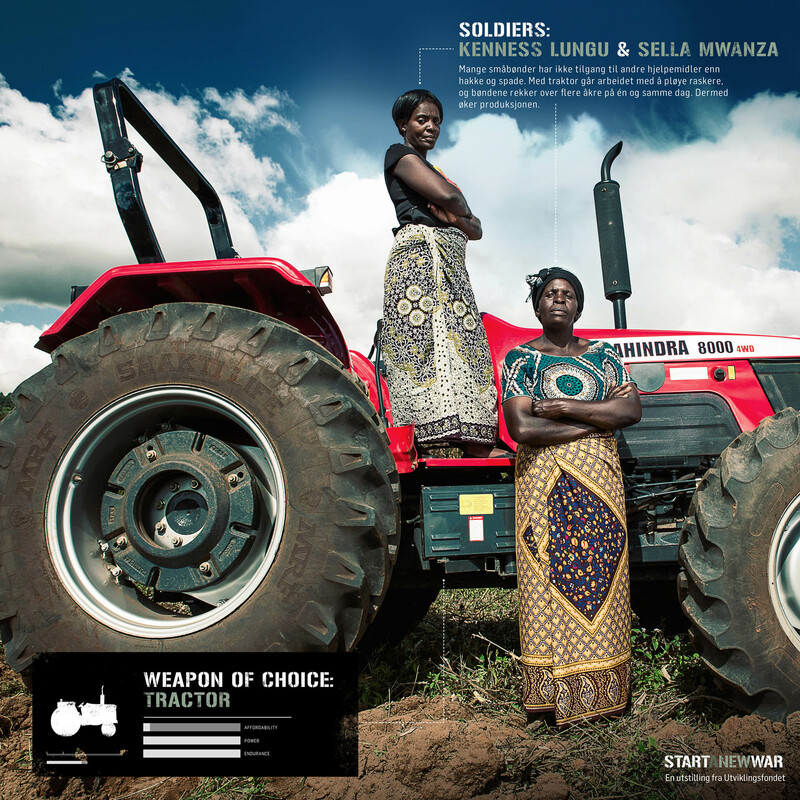 The result was an outdoor photo exhibition, portraying the Malawian model farmers as soldiers armed with essential farming tools.